FINANCE MINISTER’S SPEECH AT THE INAUGURATION OF THE NATIONAL WORKSHOP ON OPEN GOVERNMENT PARTNERSHIP (OGP), JULY 27, 2017. It is both a privilege and pleasure for me to join you here this morning to inaugurate the National Workshop on Open Government Partnership (OGP).On behalf of the Government of Pakistan, I would like to reiterate Pakistan’s firm commitment to the core principles of OGP. We are happy to have voluntarily joined the multi-lateral OGP initiative, an international platform committed towards making governments more open, accountable and responsive to citizens. The present government is firmly committed to transparency, good governance and fighting corruption. We have taken various administrative and legislative measures to this end, including Cabinet decision under leadership of Prime Minister Nawaz Sharif to join OGP. We made this decision because we view OGP as a means for further institutionalizing good governance, accountability, and transparency.OGP also provides a formal framework and platform for further improving public engagement with citizens and the Civil Society on governance, reforms, transparency, accountability, and the government’s processes of policy designing, formulation and implementation. It is because of these reasons that we submitted the Letter of Intent for Pakistan to join the Open Government Partnership (OGP) in November 2016, especially as Pakistan had already met the eligibility threshold for membership by meeting 15 out of the 16 criteria. I also had the pleasure of handing over the Letter of Intent to French President Francois Hollande during the OGP Global Summit in Paris in December 2016. An important requirement of joining OGP is to develop a National Action Plan which would be the product of a co-creation process in which government, civil society and the private sector would identify ambitious commitments and a roadmap to foster transparency, accountability and public participation in government processes. To this end, OGP provides a domestic policy mechanism through which government and civil society establish an ongoing dialogue on the design, implementation and monitoring of the commitments made by them. Today’s National Workshop will provide all stakeholders a unique opportunity to discuss the progress made so far on the thematic areas, further fine tune the commitments, chalk out future interventions, and finalize the way forward on the National Action Plan. In addition to OGP, our government has also taken other initiatives which demonstrate Pakistan’s firm commitment to transparency and good governance. In September 2016, the Government of Pakistan became a signatory to the OECD Convention on Mutual Administrative Assistance in Tax Matters. This is a significant milestone for the adoption of international best practices against tax evasion. We also signed, after 3 years long negotiations with Swiss Authorities, the revised version of “Exchange of Information” in order to curb tax evasion. On the domestic front, Pakistan has made unprecedented progress in improving fiscal transparency through public availability of information and reliable fiscal reporting. Measures, in this regard, include a consultative and transparent budget-formulation process, and improvements to public procurement rules in order to ensure competitiveness and transparency. In addition, during the present government’s tenure, we have been publishing the tax directory of our Parliamentarians for the last three years. I am pleased to share that, in order to continue this tradition, I shall be going to the headquarters of FBR right after this event to announce the publication of the Parliamentarians’ tax directory for the fourth year in a row. Pakistan is one of the very few countries in the world to publish such a directory. It is our government’s strong view that tax compliance by Parliamentarians plays an important role in promoting a culture of tax compliance across the country, because the actions of public representatives in any democracy serve as an example for its citizens. I believe that the aforementioned initiatives, aimed at good governance and transparency, coupled with our government’s prudent economic policies, have played a major role in Pakistan’s economic turnaround over the last four years. Pakistan achieved GDP Growth of 5.3% in FY 2017, which ended on 30th June 2017, the highest in a decade. As a result, the size of Pakistan’s economy has surpassed US$ 300 billion for first time ever. Our Per Capita Income stands at $1,629 today, compared to $1,334, four years ago, a 22% increase. Inflation is expected to be 4.38% in FY 2017 compared to annual average of 12% between FYs 2008-13. The fiscal deficit has been reduced from 8.2% in FY 2013 to 4.6% in FY 2016, through higher revenue collection, revoking concessionary SROs and curtailing non-development expenditure. Tax collection increased by around 73% in the last 4 years as compared to growth of 3.38% only in FY 2013. Our Foreign Exchange reserves are sufficient for import cover of over 4 months, as compared to only a few weeks of import cover in 2013. Pakistan also completed all 12 reform steps of the IMF Extended Fund Facility program in September 2016, for the first time in our history. 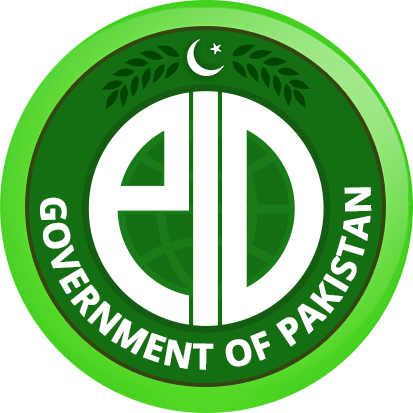 We have a Federal Public Sector Development Program worth Rs. 1,001 bio for FY 2018, which is over three times compared to PSDP of Rs. 324 bio in FY 2013. After having achieved macroeconomic stability, Pakistan is now firmly on the path of higher, sustainable and inclusive economic growth. Our economy is on the rise and we are open for business. Reputable international institutions such as Price Waterhouse Coopers (PwC) have projected Pakistan to be amongst the 20 largest economies of the world by the year 2030. Based on our economic journey of last 4 years, recent Harvard study has indicated that Pakistan will have 6% GDP growth in next 10 years, second highest in South Asia. We are cognizant of the fact that transparency, good governance and elimination of corruption will play a vital role in Pakistan’s economic success in the future. In every democratic system, people’s expectations for change are very high. They expect the government to not only ensure good service delivery for its citizens, but also to be forthcoming and transparent in its affairs. Free societies require significant transparent, consultative and inclusive changes and reforms to ensure prosperity. In this regard, we appreciate the forum that OGP has provided where the government, citizens, civil society and all other stakeholders can engage in constructive dialogue, discussion and debate, which ultimately leads to informed and inclusive decisions regarding government processes. I am confident that our initiative to join OGP will make a significant contribution towards better transparency and good governance in Pakistan. I sincerely hope that all stakeholders including EAD, OGP Secretariat, DFID, Civil Society, as well as the Federal and Provincial governments will prepare a dynamic, measurable and achievable National Action Plan. Pakistan would be happy to partner in OGP, as it will help Pakistan promote transparency, empower citizens, fight corruption, and harness new technologies to strengthen governance. I would like to extend my best wishes to our valued foreign guests and all participants at this workshop for a day of productive deliberations and consultations.